A US federal court has ordered Microsoft to pay over $290m (£175m) for wilfully infringing on a patent by Canadian firm i4i. The patent relates to the use of XML, a mark-up language that allows formatting of text and makes files readable across different programs. XML is used in recent versions of Microsoft's word-processor Word. 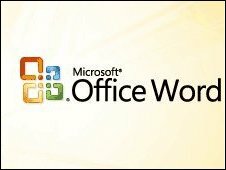 Texas district court judge Leonard Davis also filed an injunction preventing Microsoft from selling Word. The row specifically relates to the use of Extensible Mark-up Language, or XML, documents. I4i filed a patent in 1998 that outlined a means for "manipulating the architecture and the content of a document separately from each other" invoking XML as a means allowing users to format text documents. XML is also used extensively among other word-processing programs such as OpenOffice. Earlier this year, the court found in a jury trial that Microsoft had infringed the patent and awarded i4i $200m (£120m). In the latest ruling, the court ordered Microsoft to pay $40m (£24m) for the wilful nature of the infringement and interest on the amounts totalling more than $40m. In a separate injunction, the court prohibited Microsoft from "selling, offering to sell, and/or importing in or into the United States" any version of the software that can open custom XML files (with file extensions .xml, .docx, or .docm). XML is integral to some of the company's programs, such as Word 2007. Microsoft has 60 days to comply with the injunction but said in a statement that it will appeal the ruling. "We are disappointed by the court's ruling," said Microsoft spokesperson Kevin Kutz. "We believe the evidence clearly demonstrated that we do not infringe and that the i4i patent is invalid. We will appeal the verdict."